SPECIAL OFFER ON EX-DEMO MATS!! 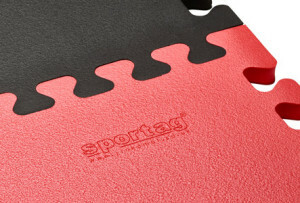 Developed in the UK from a unique material, Sportag Linkamats have been in continuous use for over 40 years. Frequently imitated, but never bettered, the Sportag Linkamat is the interlocking gym mat for people who are serious about their sport. Recommended by clubs and schools throughout the country, the durability, strength and longevity of the Linkamat are unequalled, offering outstanding value for money. Customer satisfaction is of the highest importance to us: we work hard to make sure you are happy with the mats you buy. We have many years experience of mat manufacture and can advise on the solution that will work best for you. The superior design and quality of Linkamats gives our customers confidence that they are investing in an outstanding product which has proved to be long lasting and cost effective. Many of our current customers have used Linkamats since they were first developed, and you can read some of their comments here…..
Linkamats are designed for years of use, making them the cost effective choice for clubs and schools. We use a unique foam which combines extreme strength with outstanding cushioning and unrivalled purity. Our mats are entirely made in the UK, so if we don’t have what you want in stock, we can manufacture exactly to your requirements. Our family has been producing Linkamats for almost 50 years, and pride ourselves on the number of loyal customers who return to us. 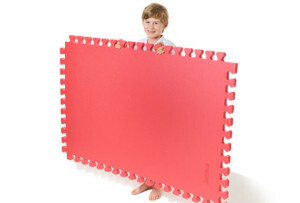 Ex-demonstrator mats now available for sale!!! Please get in touch to find out more. We’re happy to provide a sample piece so you can see – and feel – for yourself the quality of the foam. 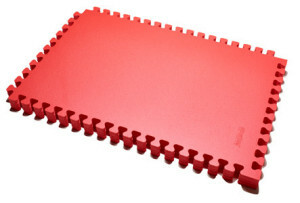 Our mats can be linked to create many different floor patterns, whether for training or competition areas. Linkamats are designed to be used by busy clubs. The extra strong links are a unique design feature and mean the mats can be lifted and laid time and time again. The light weight yet superior cushioning of the Linkamat make them the ideal choice for children’s activities, where cushioning is especially important.